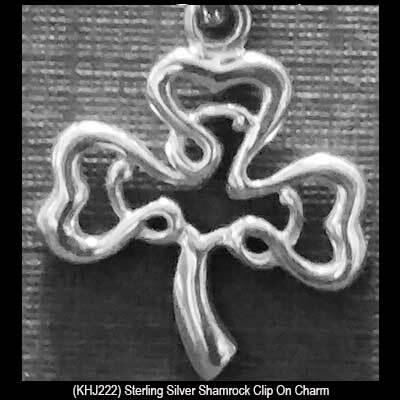 The silver shamrock charm is made by Kit Heath in Scotland. 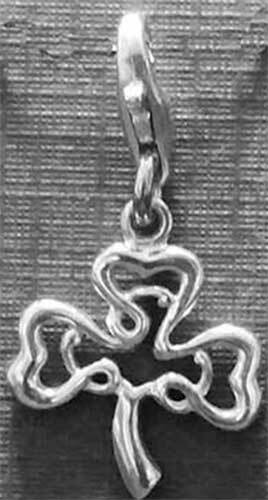 This sterling silver shamrock charm features an open design along with a lobster claw catch. This clip on shamrock charm measure 5/8" wide x 1 1/8" tall, including the catch. The charm is gift boxed with a shamrock history card, complements of The Irish Gift House.